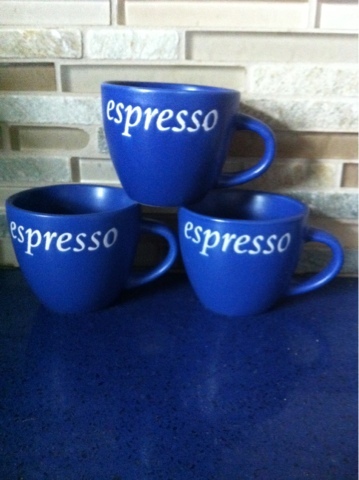 The Mom Standard: Thrifting Treasures: Espresso Yourself! I am slightly addicted to coffee. Just a smidgen. All things coffee send me to my happy place: the drink, the mugs, the pots, the art, the smell, the sounds. 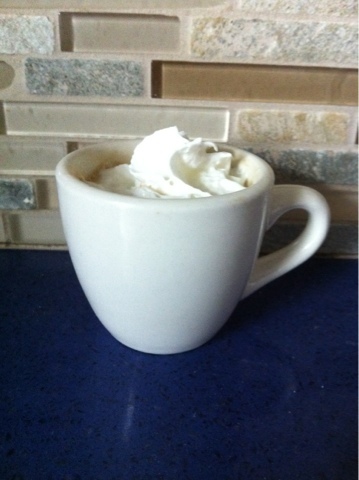 Recently I have decided to start collecting espresso cups. What a fun challenge scouring thrift store shelves, eBay, Craigslist, Yardsellr, and Bookoo for these little 2 or 3 ounce mugs. 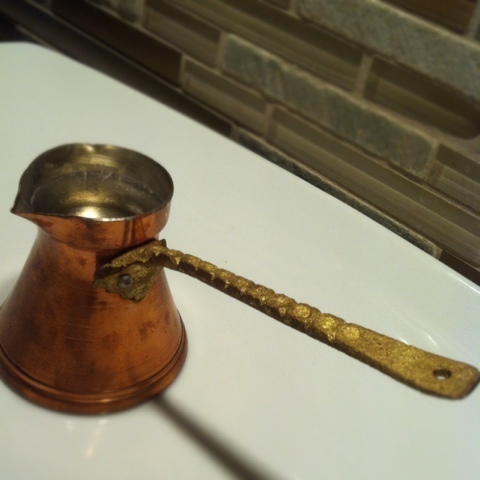 Antique Turkish Coffee Pot! $2.49! It came from a library collection!